With a week to go before the Australian Open, Johanna Konta’s 2019 began worryingly as she withdrew twice from the Sydney International. The British number one was competing in a lucky loser match after a neck injury forced her to retired from her second round qualifying match. After changing coach in October, Konta has previously spoken with positivity about her 2019 chances, but her Australian Open ambitions now hang in the balance. After making it to the Grand Final last year, Loughborough Lightning came crashing down to earth suffering a heavy 72-42 loss to reigning champions Wasps. Both teams have rung the changes since the 2018 Grand Final. Mel Mansfield has been installed as the head coach for Wasps, who will look to secure an unprecedented third consecutive title this season. Lightning, on the other hand, are setting out with a younger squad having lost the experienced Beth Cobden to Adelaide Thunderbirds, and the inexperience at the back showed. Elsewhere league newbies London Pulse, who have filled the void for London-based Super League team, faced Severn Stars. Although the home team lacked cohesion in the opening quarter, Pulse eventually found their stride to clinch a 51-49 win. 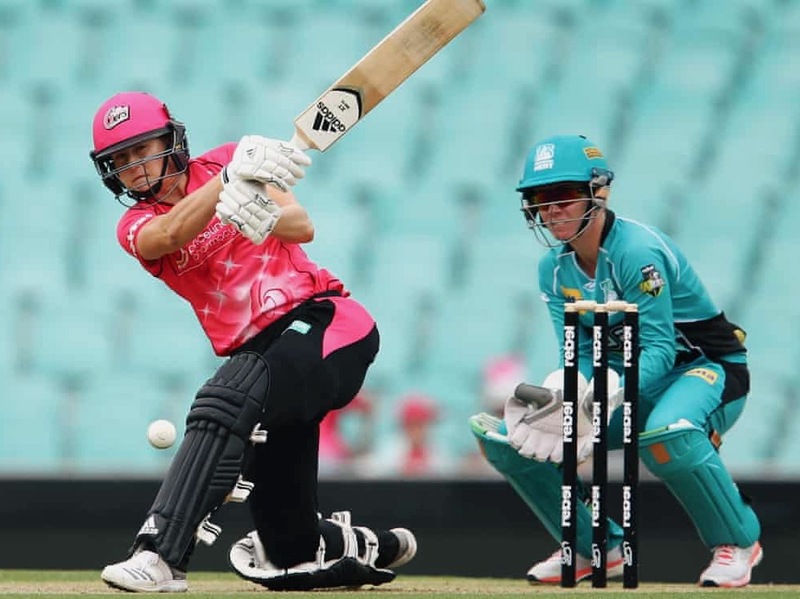 Aussie superstar Ellyse Perry hit 80 not out from 54 balls to set a new record for runs scored in a Women’s Big Bash League season as leaders Sydney Sixers secured a whopping 183-2 to beat Perth Scorchers by 32 runs. With only two games left until the semi-finals on 19th January, both Sydney sides are almost sure of a place in the semi-finals, but it’s still all to play for the chasing pack. After a gittery end to 2018, Arsenal returned to winning ways this weekend with a 2-4 away win against West Ham United. It’s wasn’t all plain sailing, an action packed first half saw the Gunners conceded in the 11th minute after Ross’ run into the box went untracked, and the Scot found the net again before half time to keep her team in the game. Vivianne Miedema had a chance to equalise soon after but her fumbling touch allowed the Hammers’ defence to close in. It wasn’t long before Arsenal’s pressure proved too much, with Williamson scoring with a superbly placed header before half time. Their second, scored by Jensen five minutes later, was almost a carbon copy of the first. Such basic, repeat mistakes will need to be snuffed out if West Ham are ever to challenge for silverware. In the second, clearly buoyed by a managerial team talk, Arsenal displayed their superior skill as a van de Donk brace secured their 10th win of the season. With the leaders flying high, Manchester City were the first to blink. They dropped two points away at Bristol who set up defensively and were rewarded for their patient play with a late equalising penalty to cancel out Nikita Parris’ first half strike. The drop in points also opens up an opportunity for champions Chelsea who, after a shaky start to the season, are now only five points adrift of Arsenal. Next week’s away clash with her league leaders is therefore a must win!